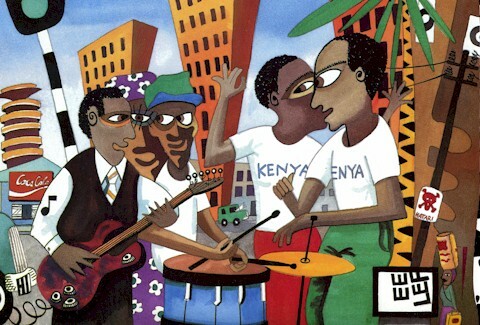 Here's an LP that my old friend Steve Kamuiru brought me from Kenya back in the early '90s. 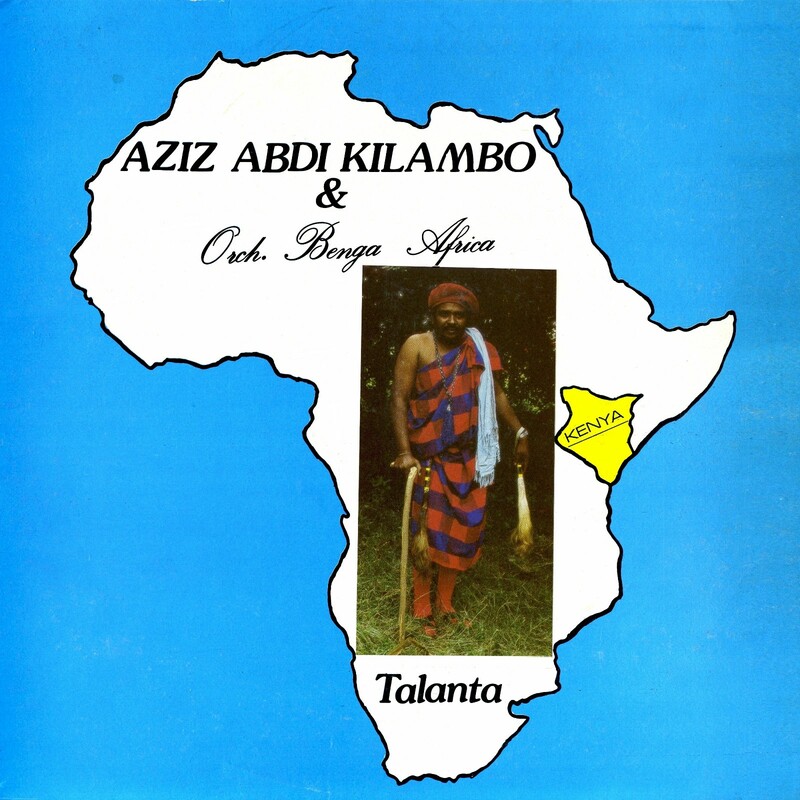 I have been unable to find out anything about Aziz Abdi Kilambo, but from his name and style of dress I would speculate that he is from the coastal area of Kenya. 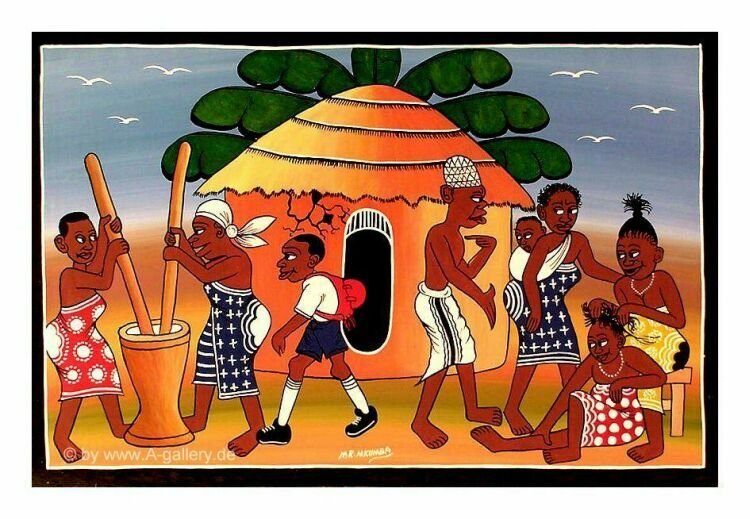 Somebody correct me if I'm wrong! 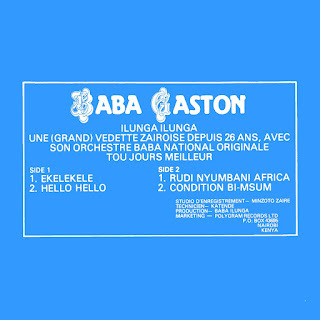 Likewise Orchestra Benga Africa's sound has a more languid (coastal?) 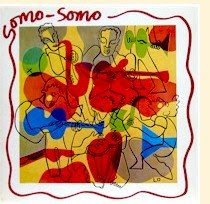 rumba feel to it. 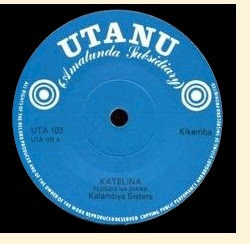 Talanta (Polydor POLP 615, 1991) is an enjoyable excursion indeed! 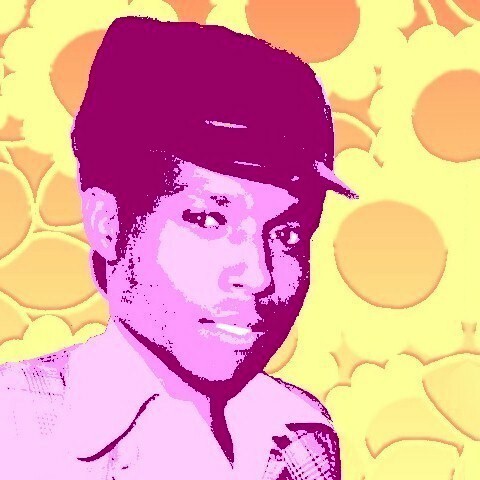 Download Talanta as a zipped file here. 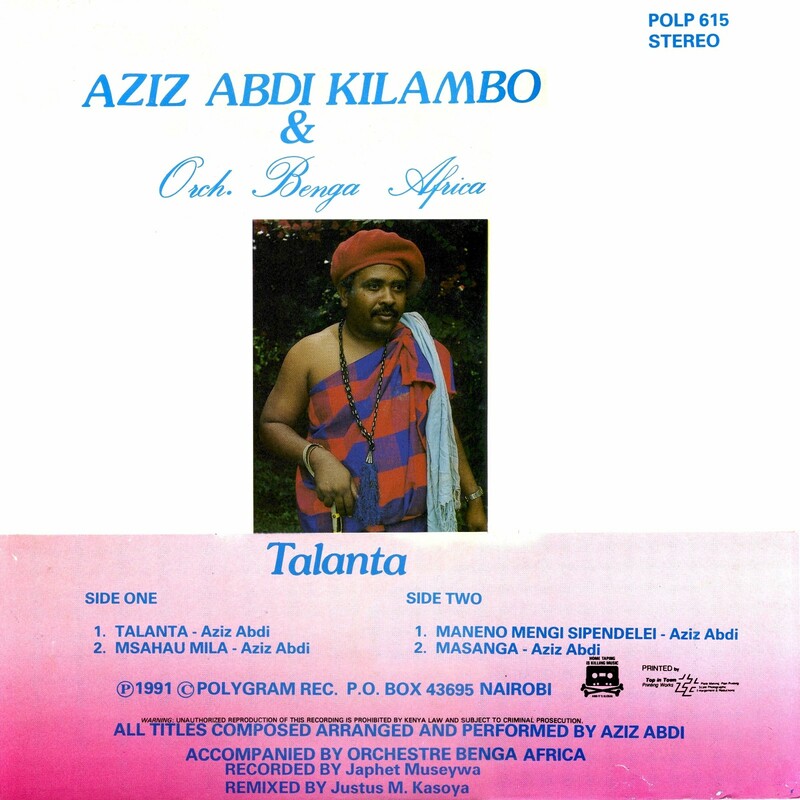 Other recordings by Aziz Abdi Kilambo are available for streaming on Amazon, Spotify and other platforms. 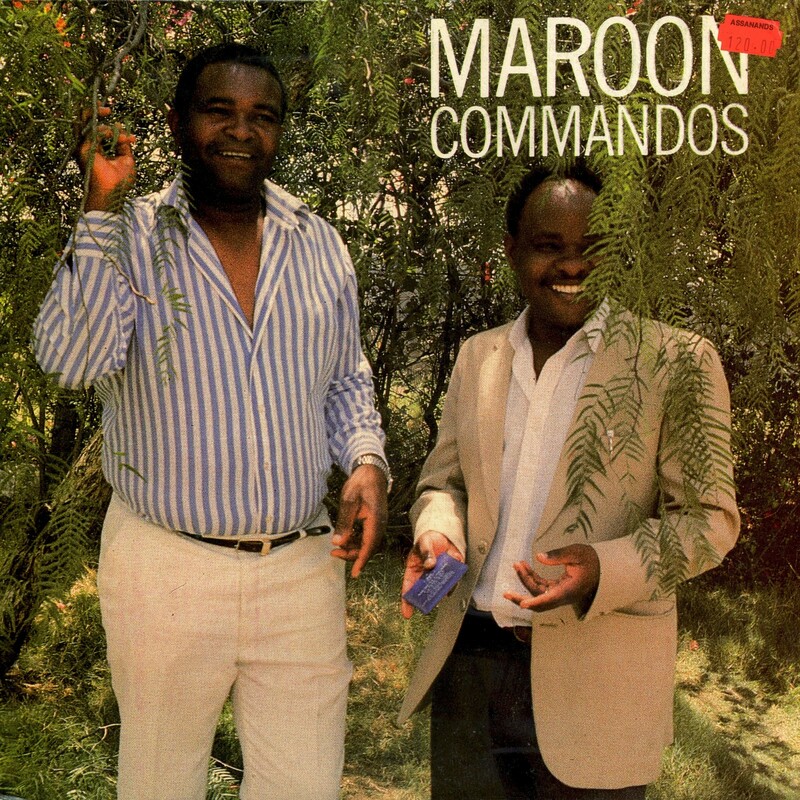 Kenya's Maroon Commandos have been featured here on Likembe a couple of times. 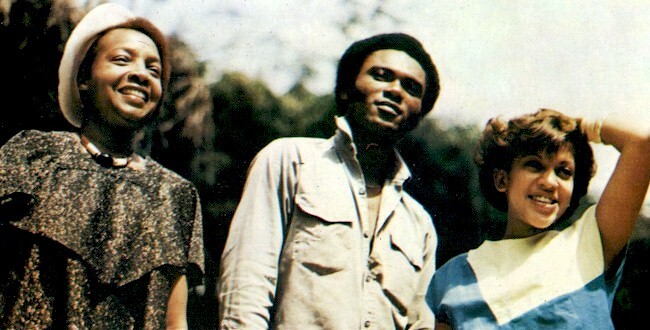 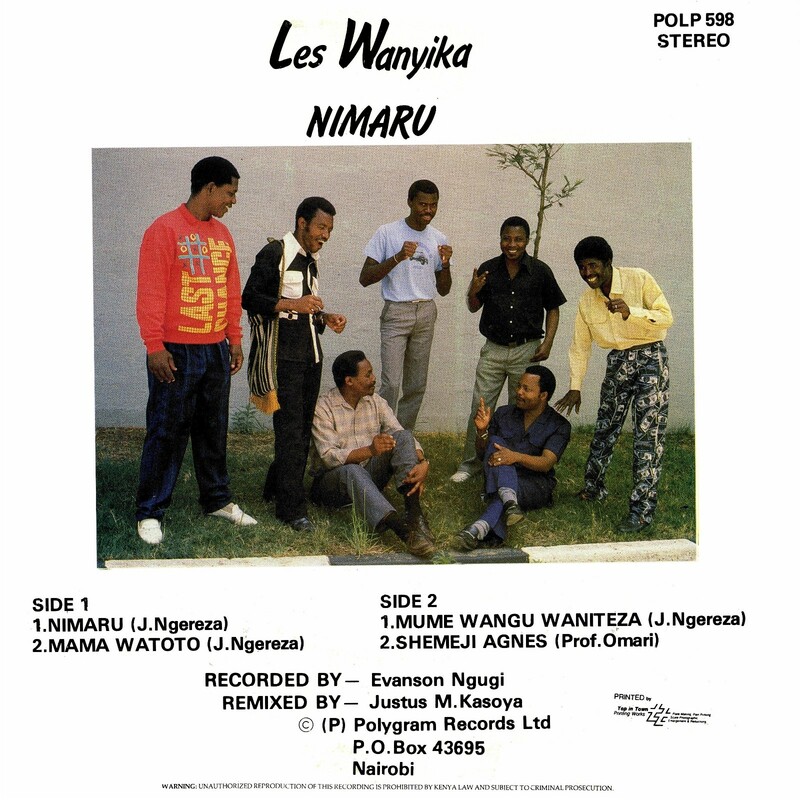 In March I posted their LP Mwakarabishwa na Maroon and more than ten years ago a great 45 by them, "Liloba." 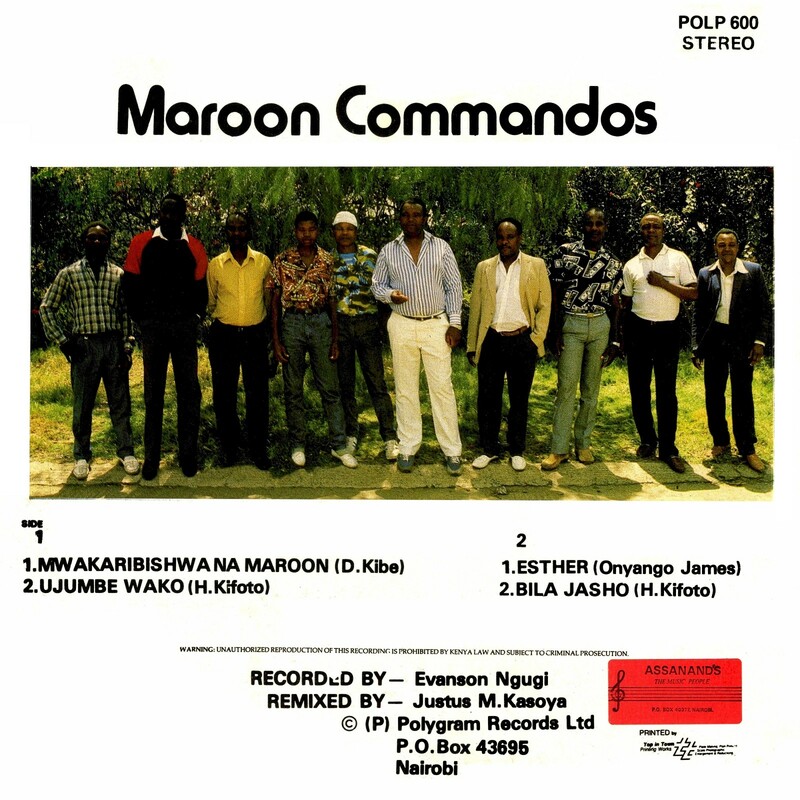 The Maroons are the offficial band of the 7th Kenya Rifles of the Kenyan Army, based in Langata Barracks, Nairobi, and were led for many years by Habel Kifoto. 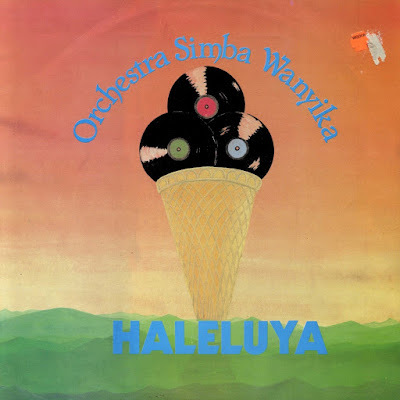 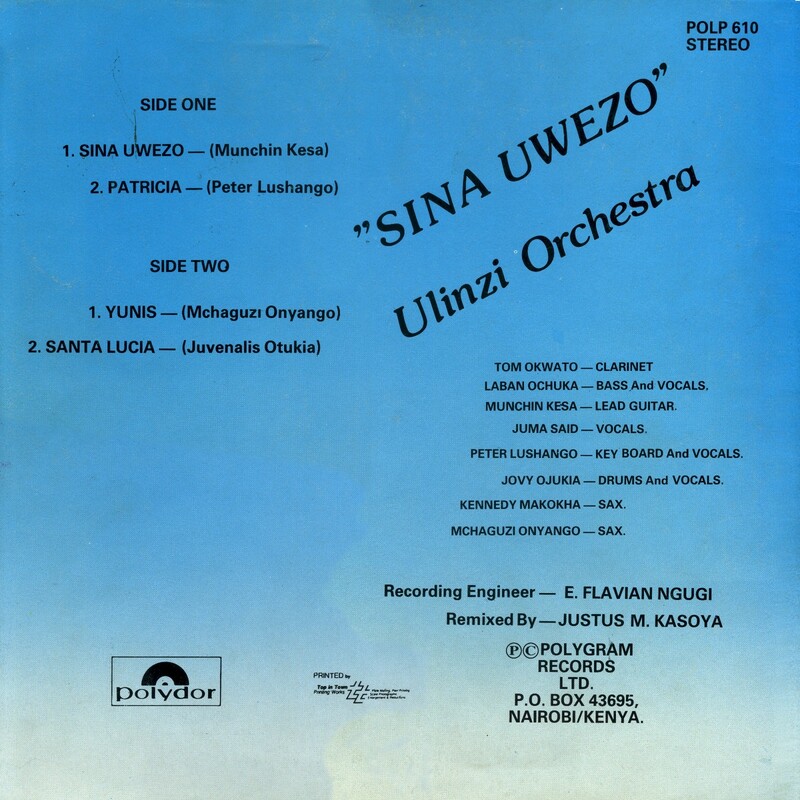 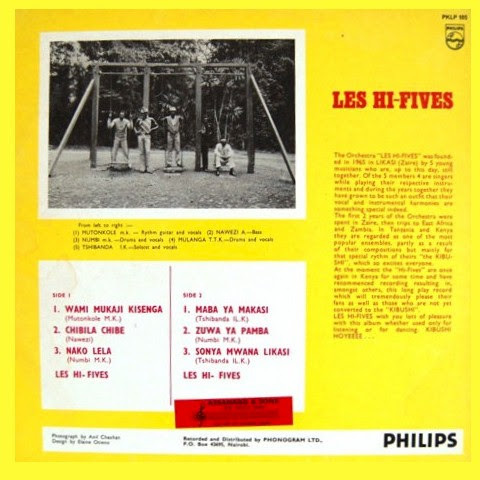 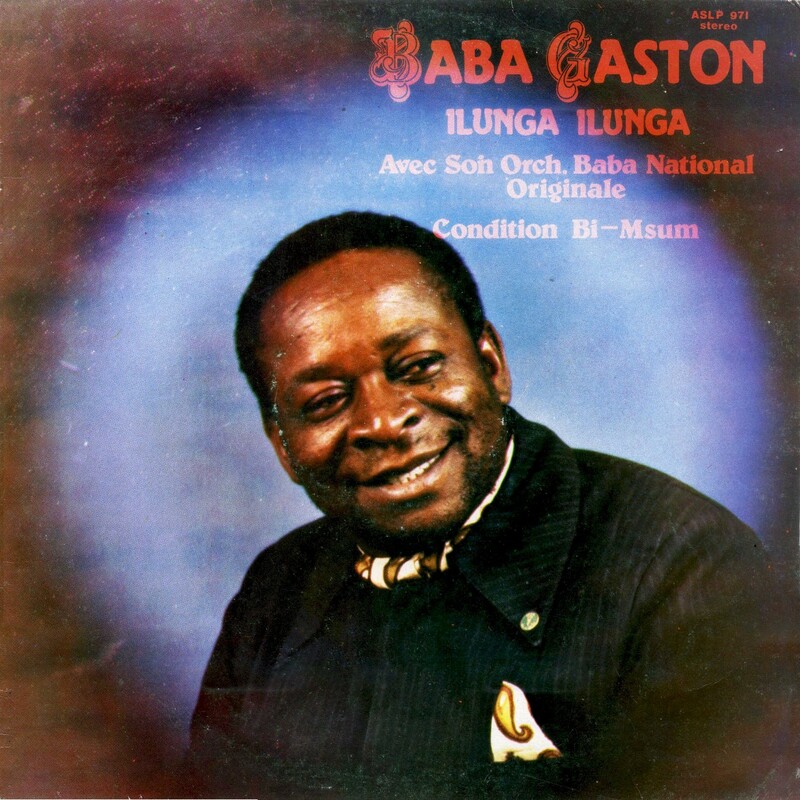 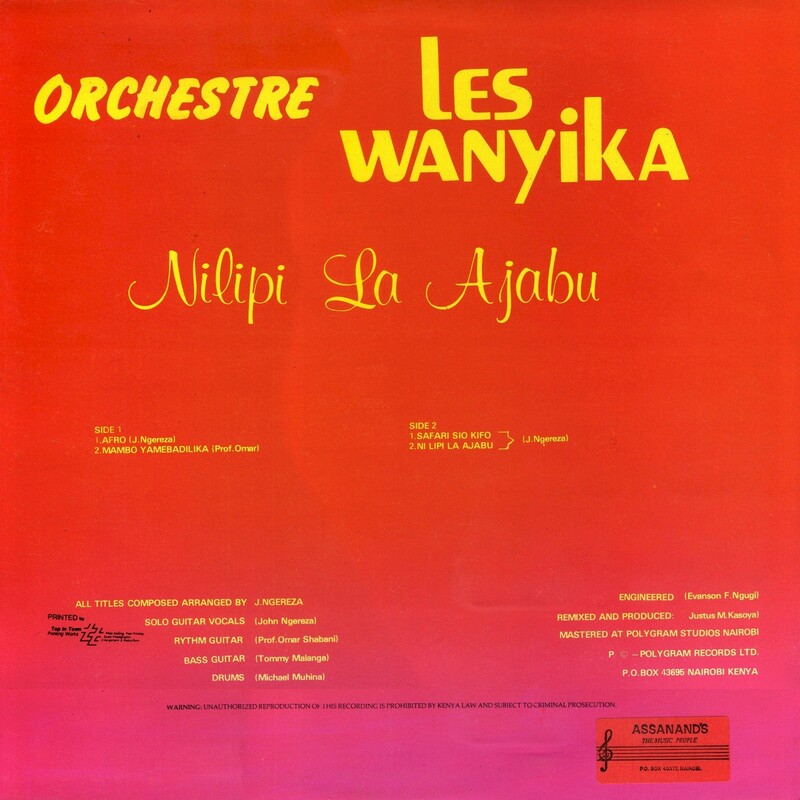 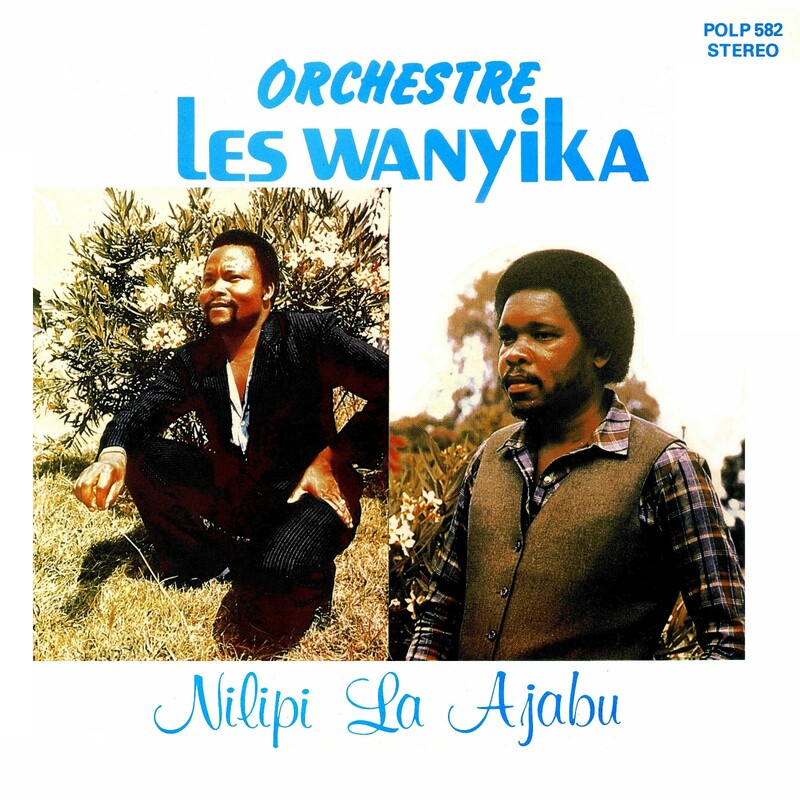 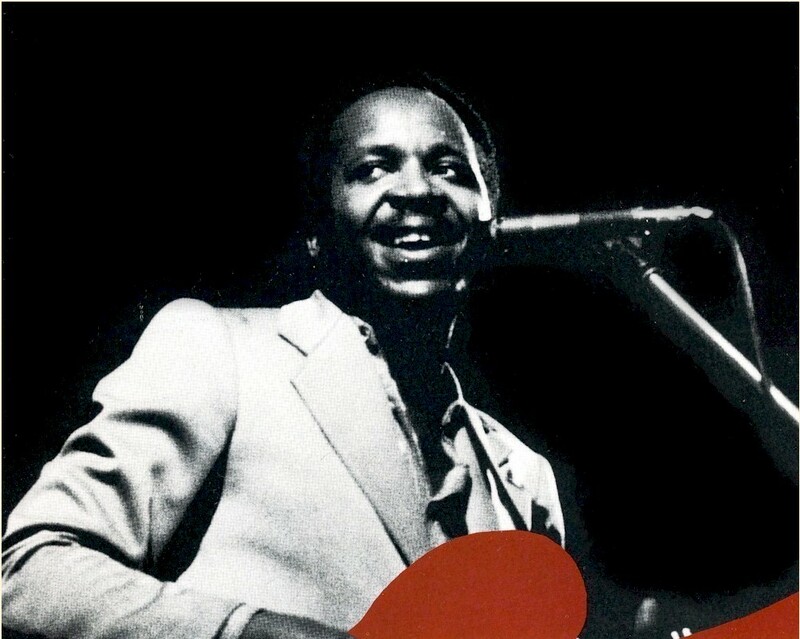 Composing and singing lead on many of their biggest hits, including "Liloba," was bassist Laban Ochuka, who at some point hived off and formed his own band, Ulinzi Orchestra, who give us today's musical offering, 1991's Sina Uwezo (Polydor POLP 610). 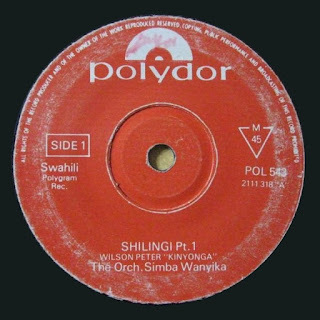 From the very sketchy info I've been able to dig up on the internet, Ulinzi also have some affiliation with the Kenyan military. Google Translate (not always dependable, I know) renders "ulinzi" as "protection." 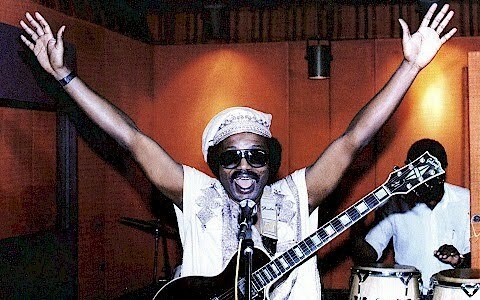 Maybe it could be "defense?" 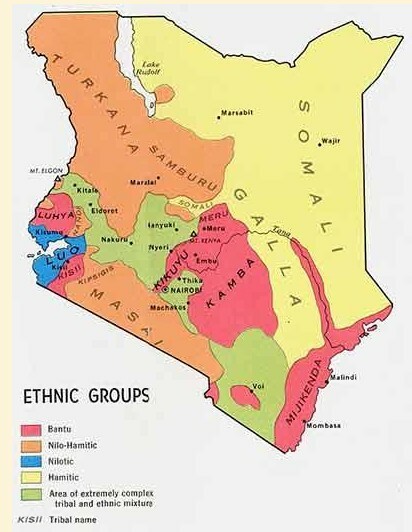 So if the group is army-related, that would make sense. 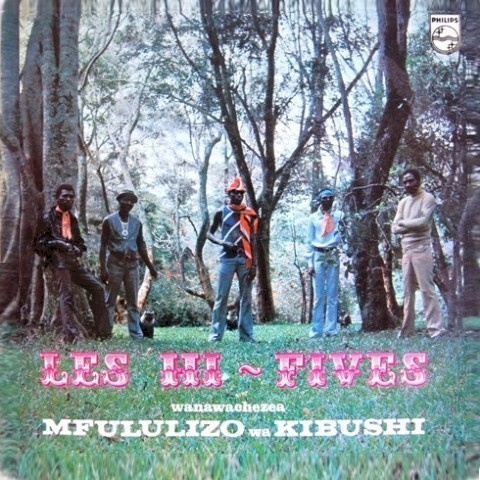 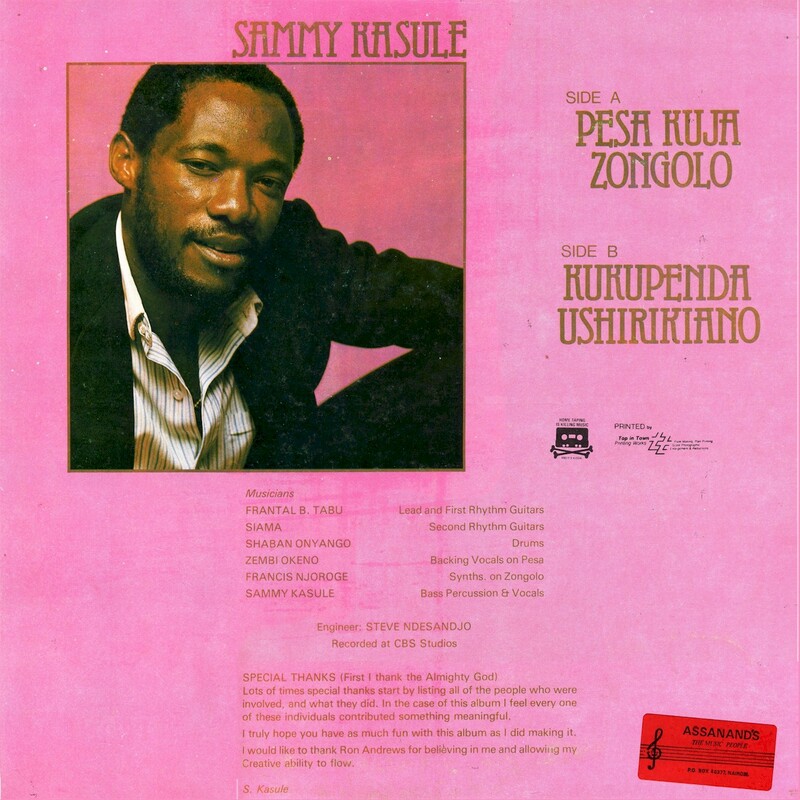 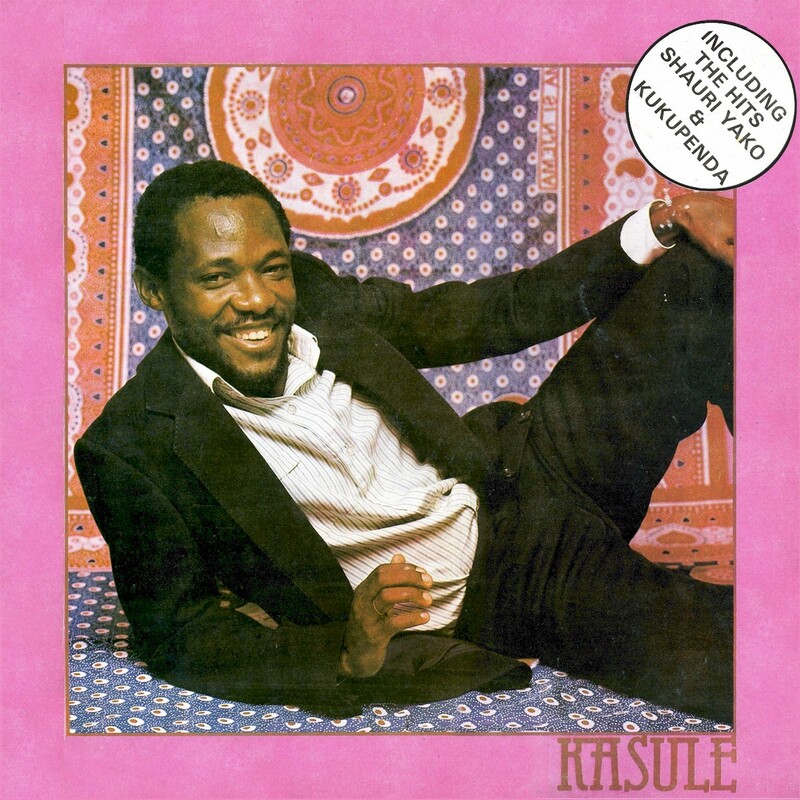 Ulinzi in this album go for a more forward-facing, disco-inflected sound than the Maroons. 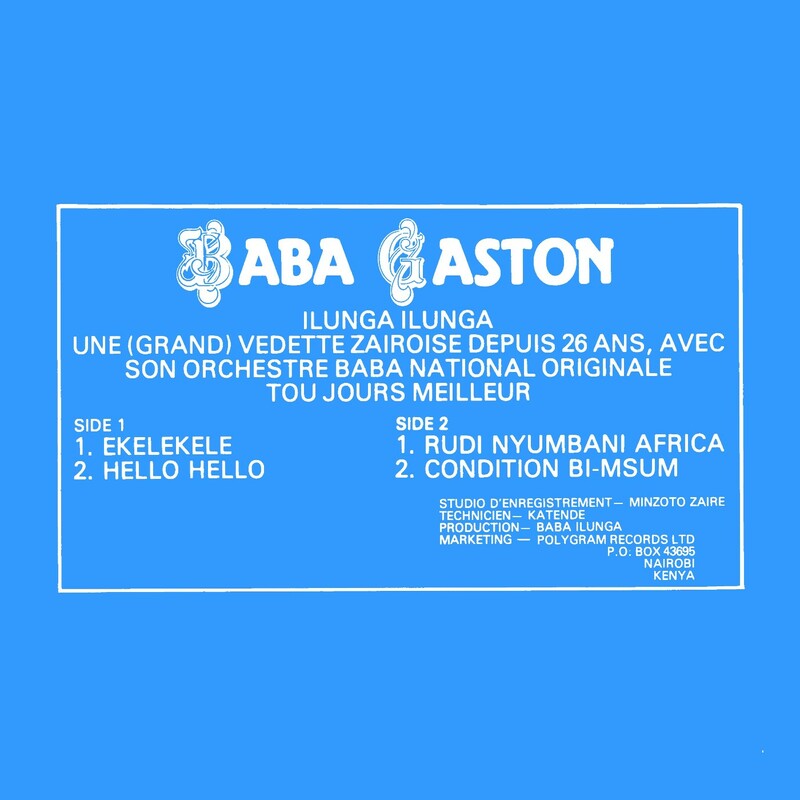 I don't know about any other recordings by them, but they seemed to be extant for a number of years after Sina Uwezo and may still exist. 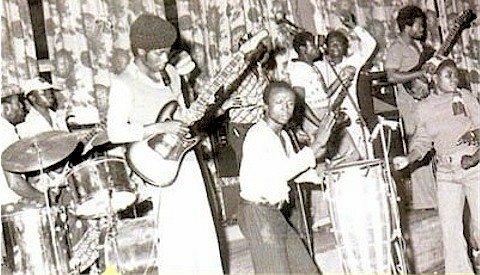 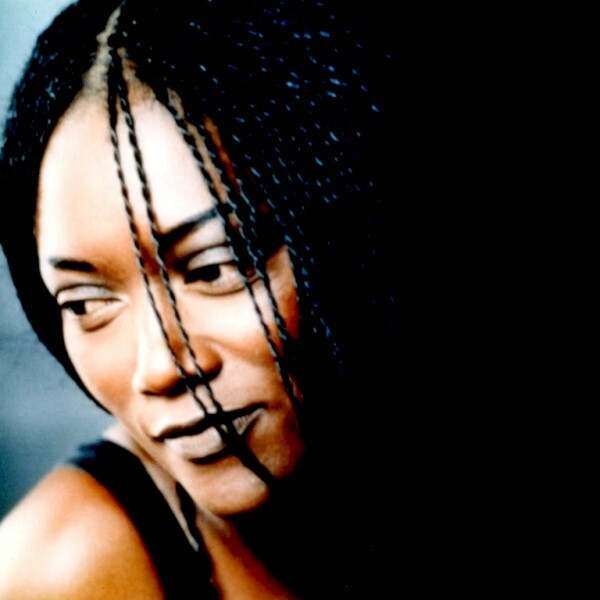 Ochuka left the band in 2003 to sing gospel music, but returned in 2005. 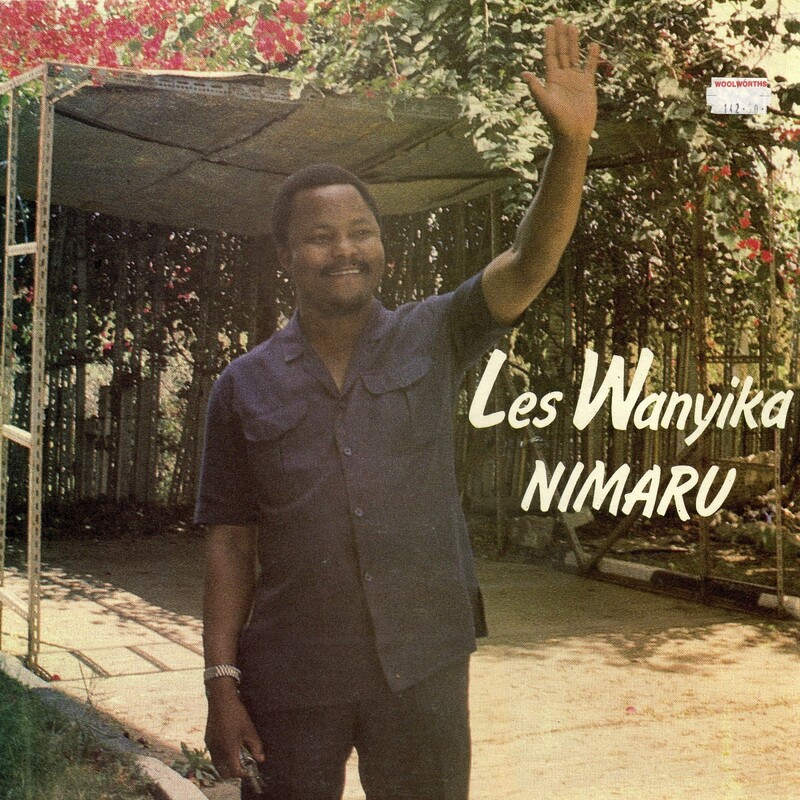 Sadly, he passed away in 2006 and was laid to rest at his home in Bunyore, western Kenya. 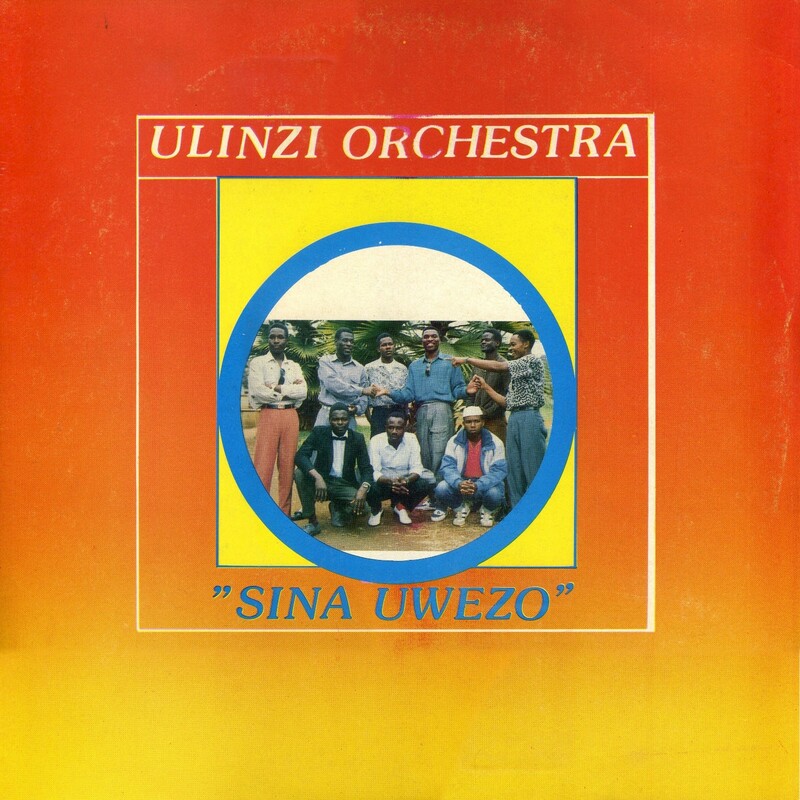 Download Sina Uwezo as a zipped file here.